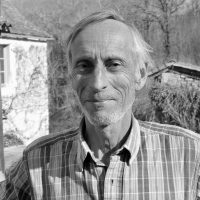 Ton Lemaire is a cultural anthropologist, philosopher, and green thinker from the Netherlands. He is the author of De Tederheid (The Tenderness), Filosofie van de Landschap (Philosphy of the Landscape), and O ver de Waarde van Culturen (About the Value of Cultures). His most recent work Onder dieren; voor een diervriendelijker wereld (Among animals; for a more animal-friendly world) was published in 2017.